The Dark Blues will travel to Paisley on Saturday looking to put some clear blue water between themselves and the Buddies as the Premiership’s bottom-placed team hosts the side in 11th spot in a relegation six-pointer. To have Nelson available will give Jim McIntyre’s men added confidence they can take three points that might also help close the gap on Hamilton above them in the table. 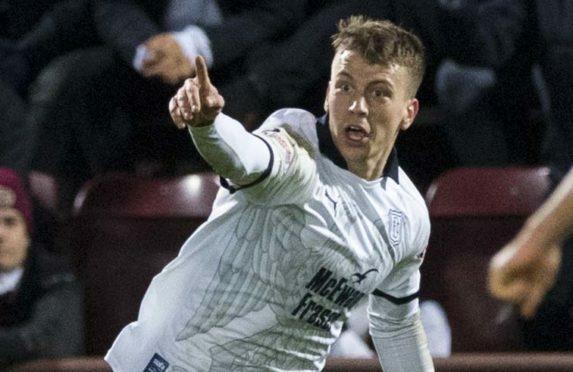 Nelson joined the Dens men from Sunderland in January and became an instant hit with the fans, scoring four times. 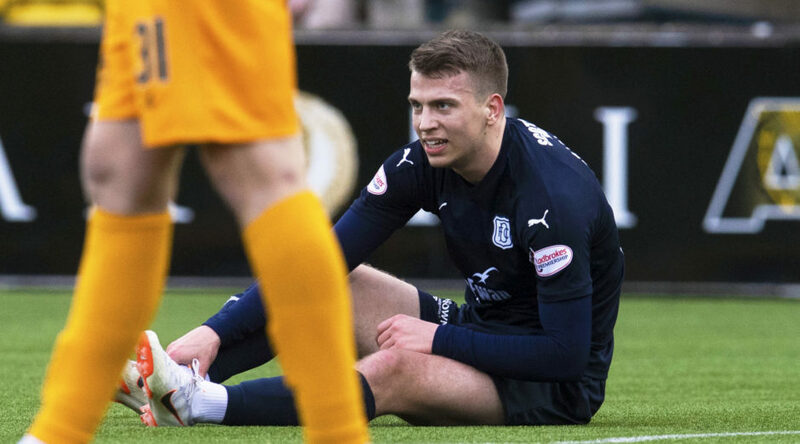 However, a heel injury that he aggravated while celebrating a goal against Livingston in his last appearance on February 16 meant Dundee had to soldier on without him. Manager McIntyre will welcome him back with open arms for the game at the Simple Digital Arena, saying: “Andrew Nelson is back in full training. “We were all back on the training ground today, even those who had wee knocks last week. “It is a big boost to have Nelson back because he obviously started his career here very well. Andrew Nelson goes down with an injury and is forced off. While Nelson is ready to go, there is still a bit of a question mark over central defender Andrew Davies, who has been sidelined with a broken foot. McIntyre explained: “Andrew Davies is still a bit uncomfortable so he is the only doubt for us. “He did a bit of training for about a week and he felt something. We got it X-rayed again and it has shown up fine. Meanwhile, McIntyre revealed how he used the international break to give his players some time to themselves. He said: “We gave the players a long weekend during the break because I think that is important at this stage of the season. “They are as fit physically as they are going to be so it was good mentally for them to get a wee break, knowing fine well what they are coming back to. “The fixtures come thick and fast now – we have three in a week – and we need to be prepared for it.